Real estate closing gifts are the perfect opportunity for all you real estate agents to thank your clients, and show them how much you appreciated working with them. It’s also a great way to leave them with a positive image of their experience with you, and it can be a step toward future referrals. Below we have 21 unique and memorable ideas for real estate closing gifts. Don’t make it all about you. No one wants kitsch with your logo on it – for instance, a clock with your contact info in the middle of it will go straight into the garbage can. Make the gift about them. It’s perfectly fine to toss business cards into a housewarming package, or place an unobtrusive sticker with your contact info on the back of a plaque. But aside from those minimal accents, keep yourself out of it and let your real estate closing gift speak for itself. Listen throughout the process. That’s how you’ll be able to find the perfect gift for this client. Someone who doesn’t do caffeine won’t want a coffee gift card, and someone who prefers microbrews may not be enthralled with a nice bottle of wine. Give your gift in person. You’re missing out on a great point of contact if you don’t give the gift in person. A gift is a great excuse to stop by after they’re settled in a bit, deepen your relationship, find out how they’re doing and how they’re liking the new home, and also ask – pointedly yet prudently – for referrals. Pick a good time to give the gift. On closing day, they’ll be excited just to get the keys. On moving day, they’ll be busy and distracted. It’s probably best to wait a week or two, then call or text and ask for a good time to stop by with a little housewarming gift. That way you cangive the gift in person and be able to spend a few minutes chatting and catching up. 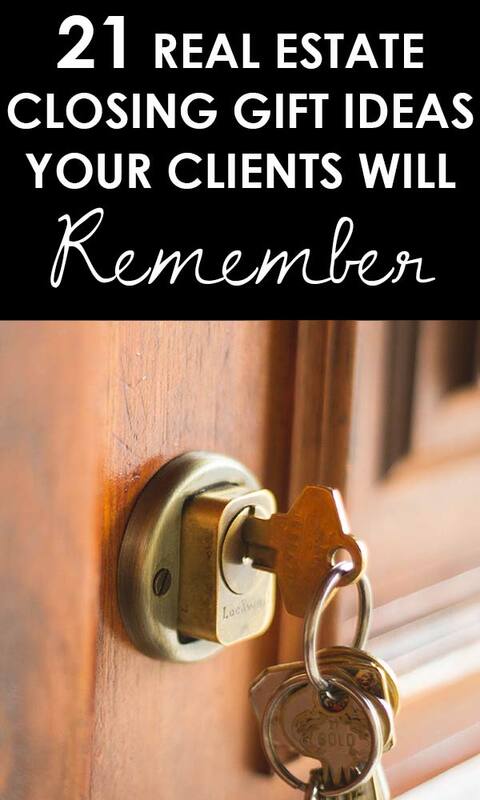 Consider giving clients a choice of gifts. This is a great way to avoid accidentally offending someone with your gift. You don’t want to give a wine gift set to someone who avoids alcohol, or you might not want to personalize a BBQ grill set to a vegetarian family. Some agents will give their clients a choice – towards closing, mention that you like to give a little closing gift and ask if they would prefer one of three options. Remember to deduct. Don’t forget to deduct the cost (or legal limit) of the gift from your taxes. Save your receipts and you’ll save on taxes at the end of the year. 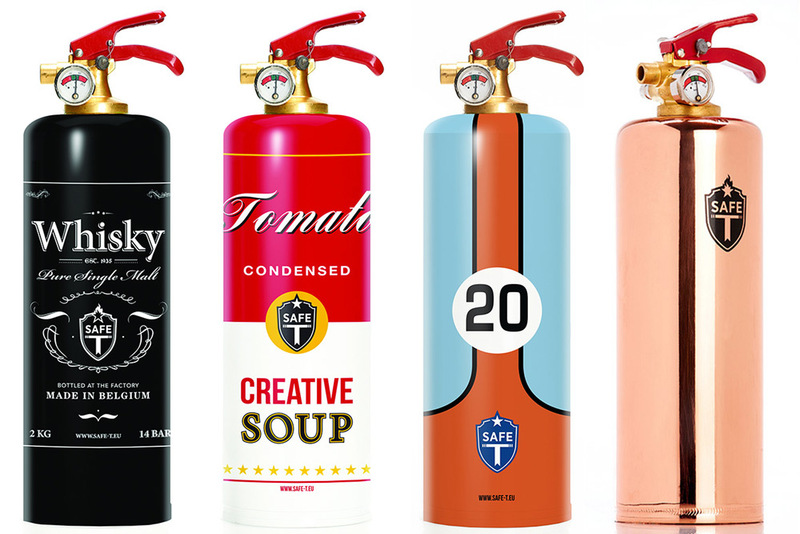 This is a truly unique gift idea… these decorative fire extinguishers include a variety of creative themes, making them an attractive showpiece that will be displayed in the home for years to come. Add a small sticker with your contact info on the back, and presto! a completely one-of-a-kind closing gift your clients will love, knowing that their safety and security is important to you. What could be more personal (yet professional) and apropos that a custom portrait of their new home? Celebrate your client’s homecoming with a gorgeous rustic wood plaque that they can keep as an heirloom throughout the years they live in their beloved home. 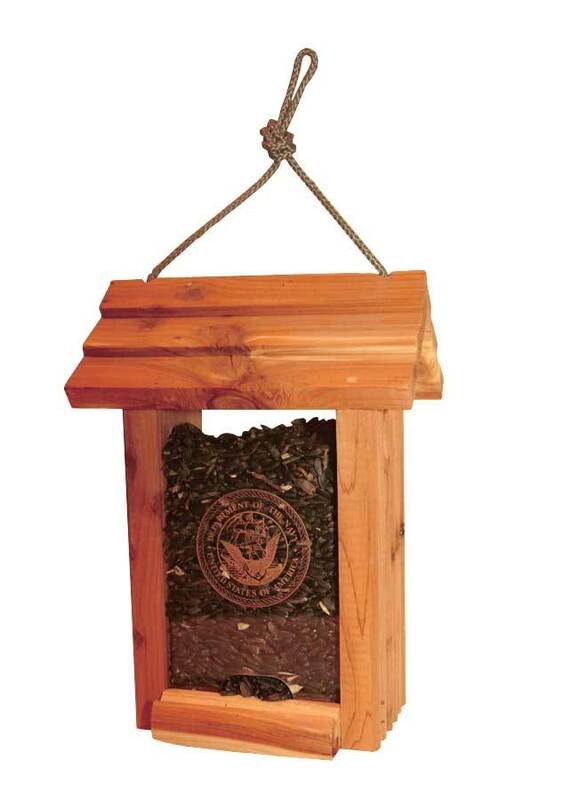 Here’s a gift that is a bit more personal – a custom engraved bird feeder made in the USA from real cedar wood that they can hang on their brand new porch. This is a wonderful idea if your clients mentioned that they’re looking forward to sitting on the front porch, or that the kitchen view of the backyard was a major attraction. Custom laser engraved with the names, quote, or message of your choice on the front and (optionally) back of the feeder. Available at Northwest Gifts or on Amazon. Perfect for the whiskey enthusiast planning on creating a dedicated home bar. The Whiskey Label design, shown above, is one of the most popular. 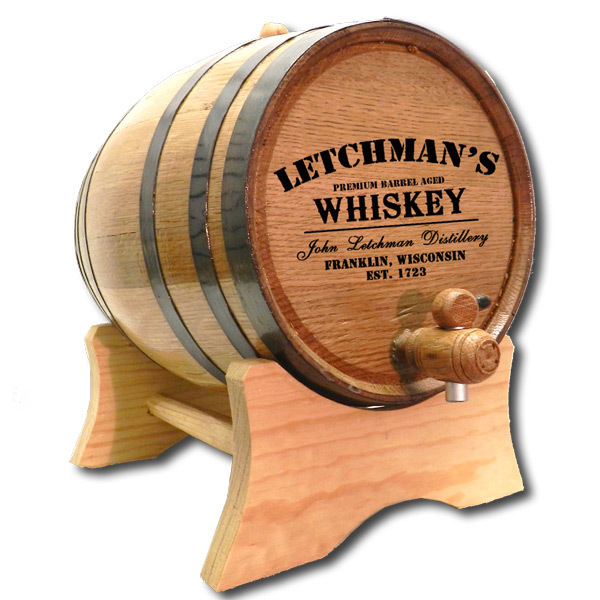 It’s a real, working barrel that will age and flavor spirits, and includes personalized engraving of names, city, established date, and more within the whiskey label design. Many additional themes are also available, including bourbon, scotch, vineyards, bistro, home bar, and more. Home is where the heart is. 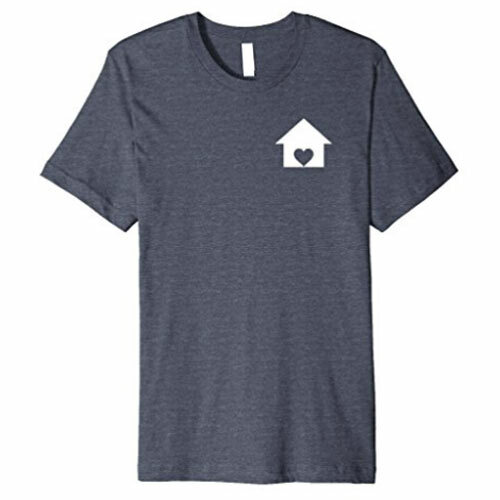 These adorable t-shirts are especially perfect for the young couple, the first time home buyers who just love their new home. Available in several colors with premium materials and fit, this is a real estate closing gift they will love to show off. If you want to play it safe and steer clear of alcohol, you might consider a coffee or espresso maker as a real estate closing gift / housewarming present. Take into consideration their coffee tastes and kitchen size, and get something that is appropriate. 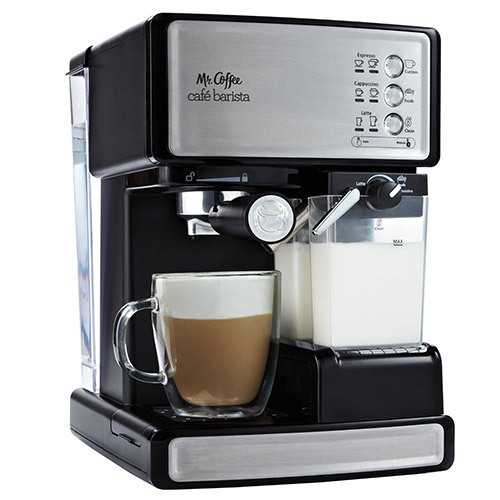 For the average coffee drinker, the mocha/caramel frappe types, the Mr. Coffee Cappucino System pictured above is a great deal. High end quality but not too expensive, perfect for making great-tasting drinks in the comfort of a new home. If their passion for coffee is a bit more rarified, and their tastes go for the subtle flavors and textures of unadulterated coffee, the Chemex Glass Pour Over System is the way to go. A truly premium coffee maker that is fairly affordable, your “coffee snob” clients will love it. For the very high-end client, you can consider the Breville Barista Express line of espresso machines. The top of the line in home espresso machines, the most popular is the BES870XL edition, which comes in at around $600. (Prices may vary.) Even further up the scale are the BES920XL and BES980XL editions, but the flagship BES870XL will serve just fine for much less cost. Not everyone is into alcohol or coffee; and those that are may already have their preferred setup. Here’s another unique beverage option that most people probably don’t already have: a soda maker. Perfect for making sparkling water, club soda, or a variety of additional carbonated flavored drinks. 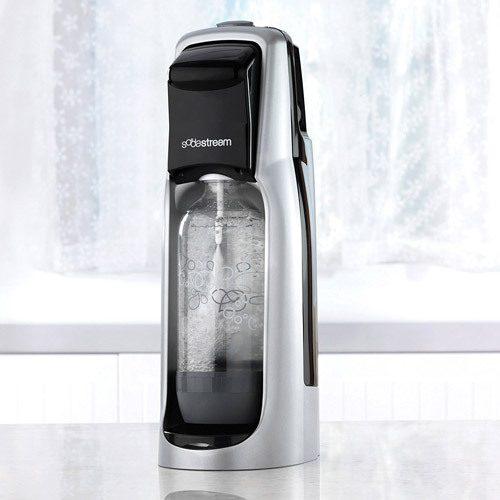 Sparkling water is all the rage right now, so a soda stream maker like the SodaStream Fountain could be that perfect closing gift that your clients will love but don’t already own. Closing gifts for your clients can be especially meaningful effective when the gift is personalized. 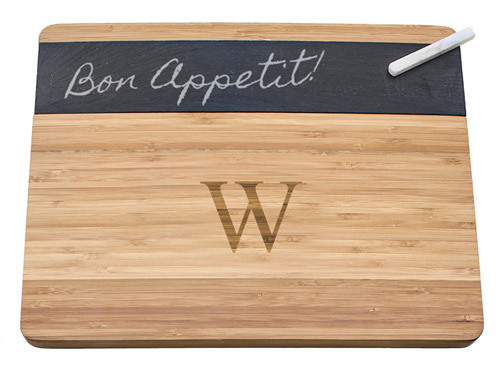 Consider a custom laser etched cutting board for their new kitchen! See here for several ideas, options, and designs. 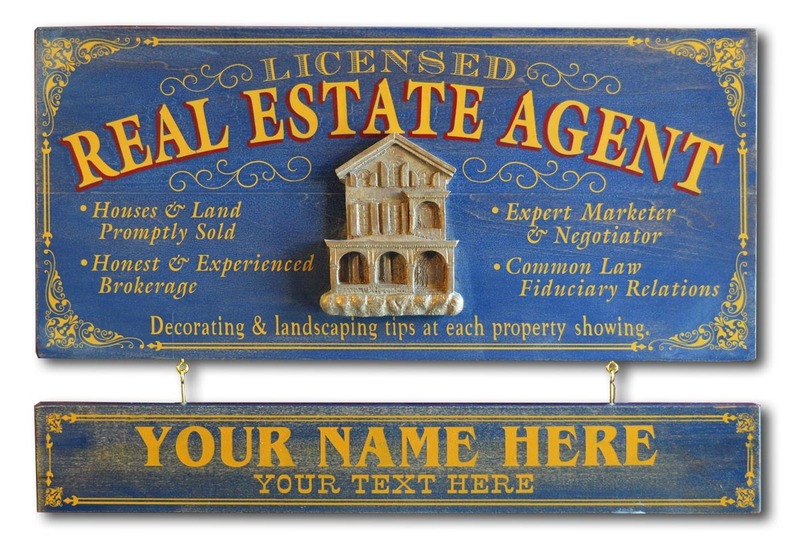 Find the perfect vintage plaques for your clients, ones made in the USA with real wood and distressed by hand, customized with their names and maybe even an “established” date. 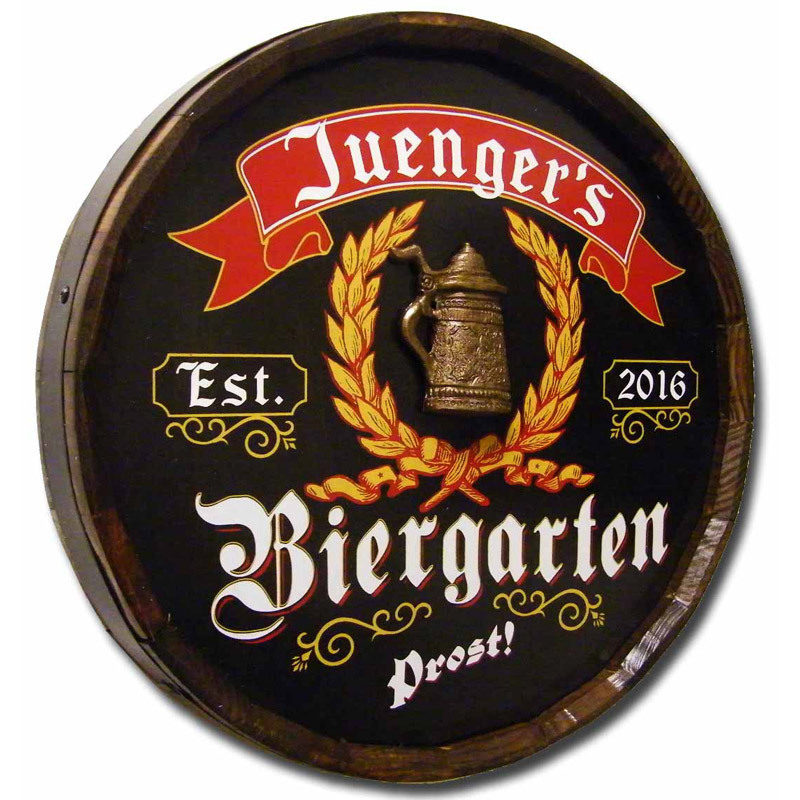 The German Biergarten Quarter Barrel Plaque, above, is a very popular item. It’s just one of hundreds of personalized designs, including themes like ice cream parlor with 1950s vibe, darts for the game room, Pacific Northwest-inspired Brew Pub, and much more. Shop all themes here. Spell out your client’s family name with interesting photos and they will cherish it always. Another great gift idea to strategically place a contact info sticker on the back. 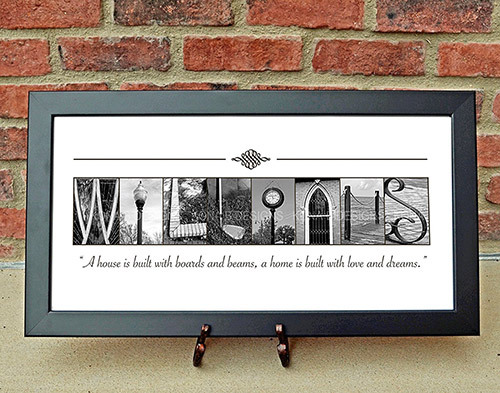 Customized yet affordable, this Personalized Alphabet Family Name Sign is a unique housewarming gift your real estate clients will proudly add to the walls of their new home. 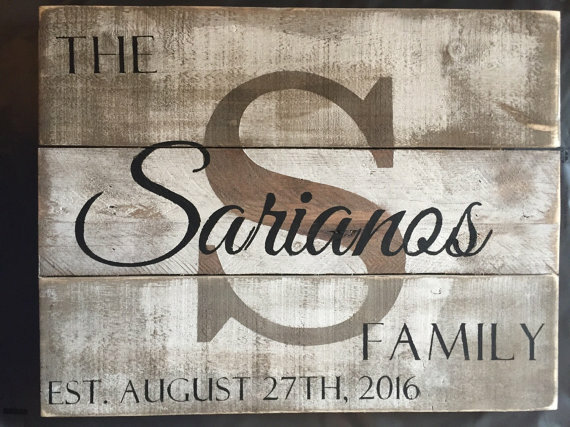 A customized pallet sign makes a fun and chic real estate closing gift that has a nice personal touch. This one includes the family name and EST date. 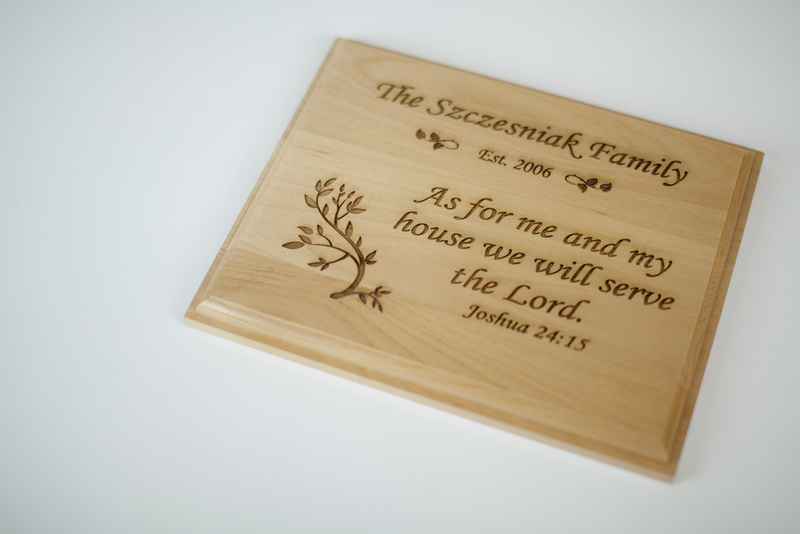 If the family is a Christian family, this “As for me and my house” wood plaque with customized engraving is a popular gift idea. Available here in several sizes. 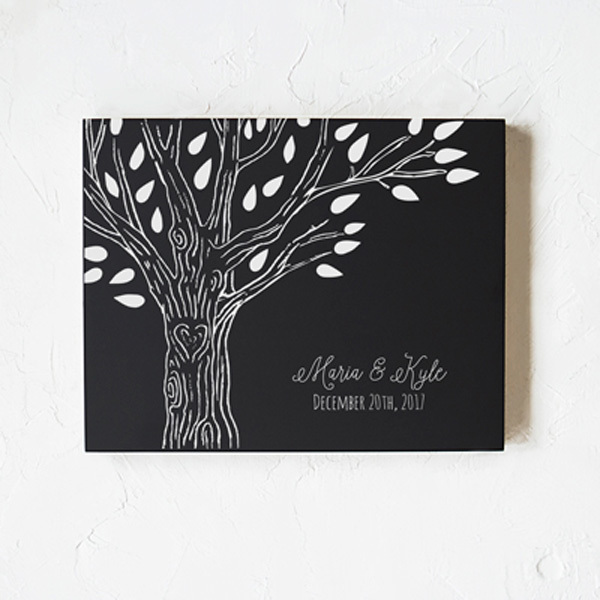 Here’s a wall decor piece they can put to use: a custom engraved “Family Tree” chalkboard, complete with the couple’s names and date. Another idea is one with a simple family initial that allows for plenty of space for them to add their own chalk notes, menus, and more. See all chalkboards here. This is a great closing gift idea if the patio was a big selling factor. Help them inaugurate their new back porch BBQ station with a gorgeous personalized grill set. Top of box is engraved, plus you can also have each utinsel customized. 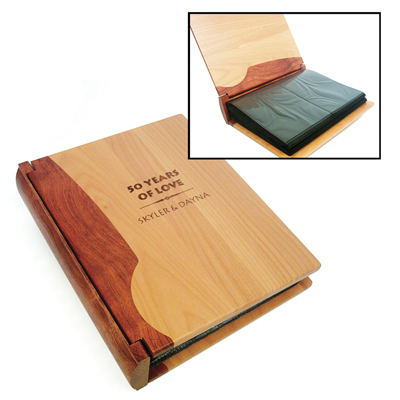 Pictured above in Pine, also available in Stainless Steel metal, Rosewood, and Bamboo. Personalize a premium photo album for them, and pre-fill it with a couple of nice photos of the house. That will give them a jump start on documenting their life in their new home! Do your clients love wine? 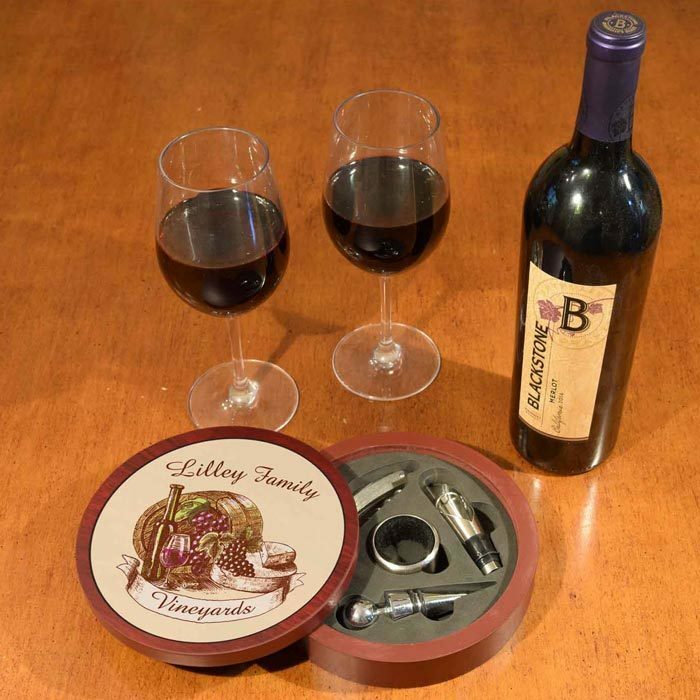 Combine this beautiful heirloom wine accessories gift set (personalized with their name) with a local specialty wine for a memorable closing gift. 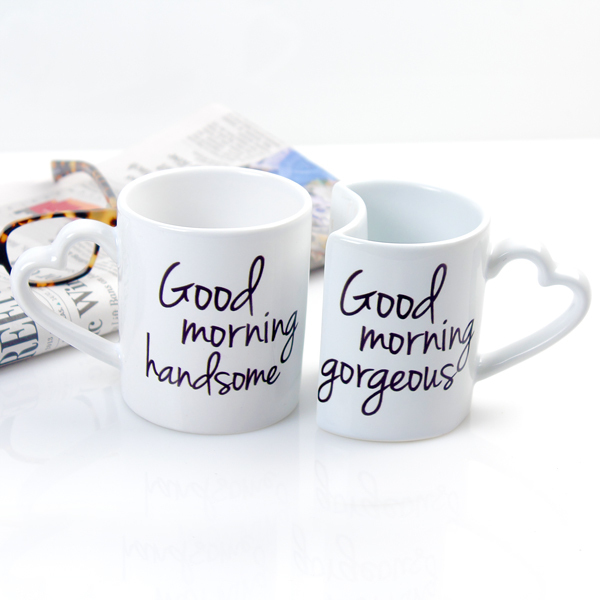 This is a lovely little coffee mug set perfect for the hipster newlyweds who love single-origin blends and pourovers and fair trade and all that great stuff. Include a premium specialty bag of locally roasted coffee beans and a gift card to the coffee place with the most bricks and longest lines. Aromatherapy is hip in a big way. 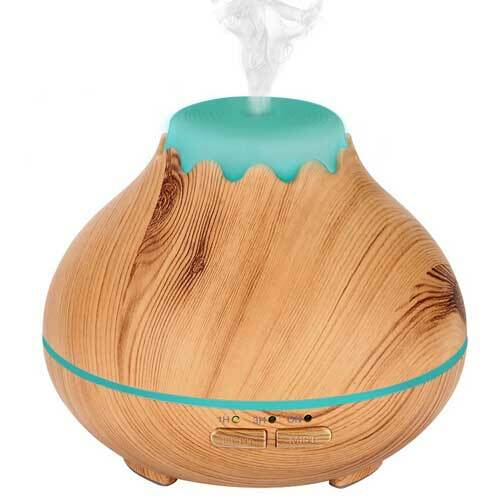 Consider giving a nice essential oil diffusion system as a housewarming-style real estate closing gift. Include a starter set of essential oils, and the wonderful healing aromas diffused throughout their new home will remind them of your great service. 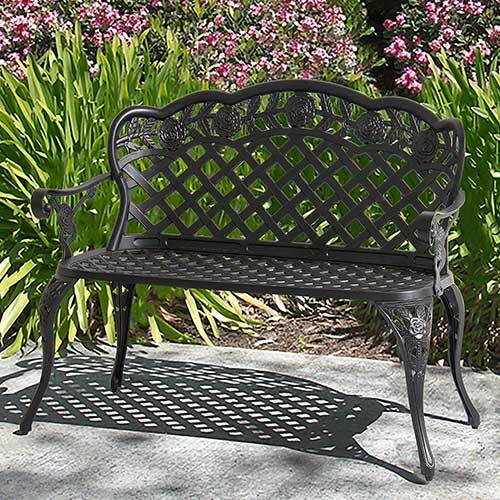 A durable metal backyard garden bench is a great gift idea because it is both big & bold yet unobtrusive & enduring. A large, useful item that they will appreciate, it also won’t take up space in their home and (if the yard is decent-sized) can be moved just about anywhere. It’s one of those things that everyone seems to want, but not everyone gets around to getting one. They will love it. This is also a great way to make positive contact with your clients’ family and friends, generating tons of potential leads in a celabratory environment. Get a bunch of pizzas, sandwiches, or have a local restaurant cater. 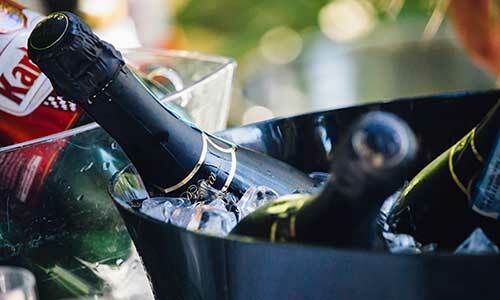 Include paper plates and napkins and a cooler full of cold beverages; perhaps some champagne. Then stick around to clean up. It never fails. 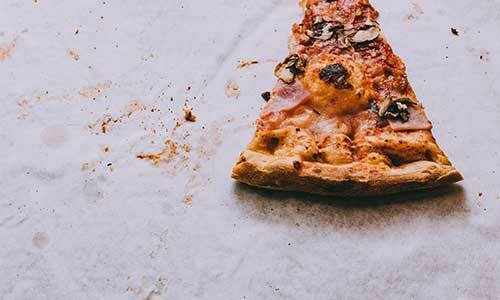 At the closing, when I know my clients are moving with friends & family, I show up with a pizza order worksheet. Simple & easy: topping options, number of attendees, preferred beverages & the date/time of their move. It’s great to stop in with food & drinks the day of the move. Revisiting the experience with the clients, meeting their closest friends / family members. Remember the paper plates & napkins… you never know if the kitchen is unpacked or not! Gift cards are also a welcome treat. A combination of two or three is a good idea – a restaurant because they’ll be eating out while moving or to celebrate their new home; Amazon or a home goods / home improvement store because they’ll be outfitting their house to suit their particular needs; and fun special treats such as local wine or craft brews for adults, doughnuts or ice cream for the kids, or coffee for just about everyone. Maybe do a little gift basket that you deliver yourself; include a bottle of wine or some coffee mugs or a locally-made gift item. Use your imagination! If that doesn’t do the trick, well, you know best what you like. Be sure to treat yourself a bit because you put in a lot of quality work on behalf of your clients. Do you have any additional real estate closing gifts to add to this list? What has worked, and what hasn’t worked? I make super unique and charming house portraits that are perfect housewarming or real estate closing gifts! http://www.etsy.com/shop/JessStitchedIt JessStitchedIt on Etsy! A Bouquet of Wax Dipped Roses in a beautiful vase not only makes a stunning thank you gift to welcome the new homeowners, but since they last forever your clients will remember you each and every day. They are very bright and eye-catching so they can also bring potential referrals when the homeowners have guests or neighbors who compliment them. Another great option is a box of picture cookies delivered in a white gift box with a beautiful bow. 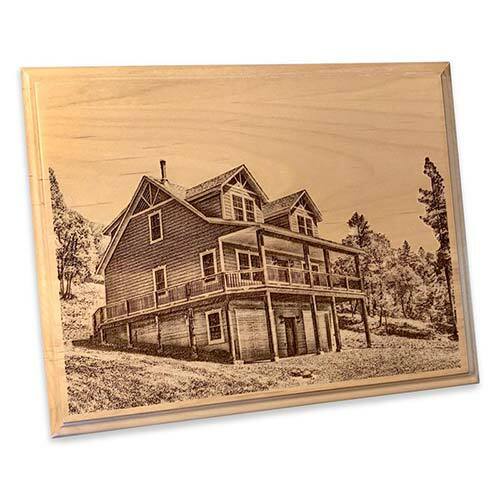 Personalize them with a picture of the new home your clients just purchased. I am getting an overwhelming response giving clients a framed house portrait of THEIR home drawn by the artists at http://www.GiveAmasterpiece.com . It is fast and easy – just upload a photo of the clients house and select some options and you get a proof to review in a matter of days. After approval, the closing gift is framed and can be sent to you or direct to client. Adding something like “The Steadman Residence” or something else meaningful to the drawing adds to the personalization. The stunning artwork is signed by the artist and can be a sketch or watercolor. This works for both buyers and sellers.